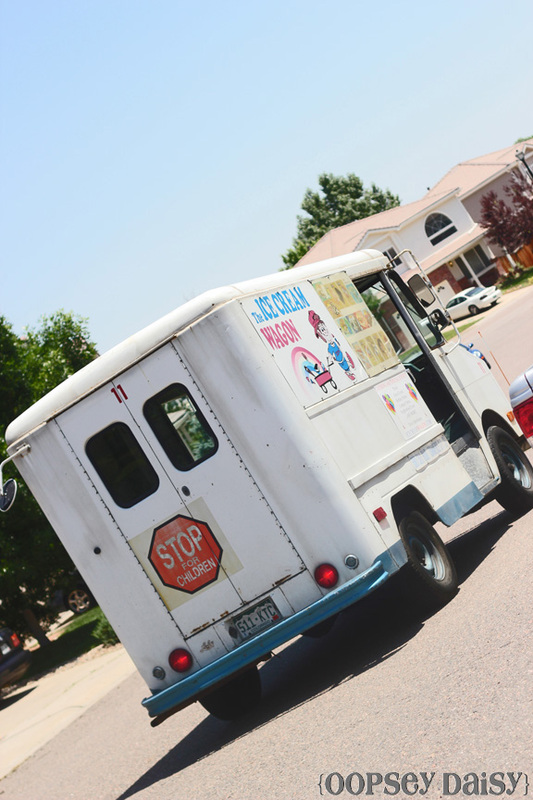 Sunday’s Snippets: Ice Cream Truck is Back! You are here: Home / snippets / Sunday’s Snippets: Ice Cream Truck is Back! Thanks for tuning in for Sunday's Snippets! For me, Sundays are all about faith and family. Each Sunday, I take a break from my usual creative routine to share snippets of everyday life with you. Thanks for reading! 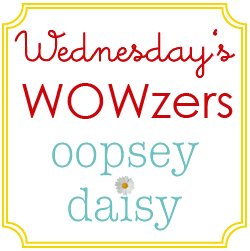 First of all, have you noticed the incredible makeover that oopsey daisy had?! 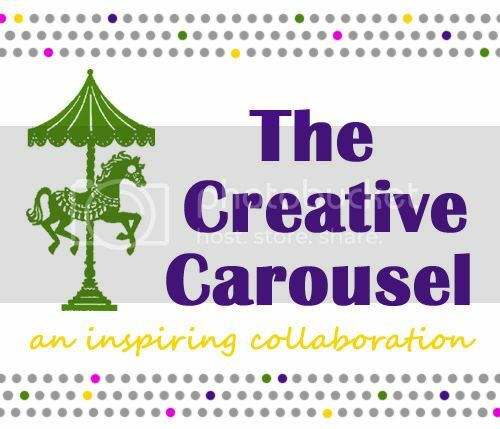 I am thrilled with the new look! 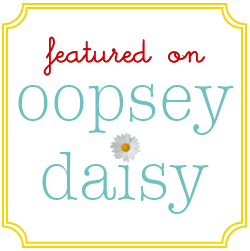 Many, many thanks to Vanessa of Nifty Thrify Things for this fab makeover! We're still working on some of the tutorial/freebie pages, but they will be up and running very soon! So yes, a new house and a new blog all in the same week. There are so many exciting things going on! Little Man: Mom! It's a nice day! The snow is melting! Me: But I thought you liked playing in the snow? Little Man: Yes, but when the snow is all gone, the ice cream truck can come again! He seemed to believe there were just 2 seasons of the year: Hot cocoa season and ice cream truck season! It just so happens that this week, the snow did melt entirely. (Yes, even those stubborn patches of snow in the shade in our backyard.) And it just so happens that for the very first time, Little Man heard the cheerful sounds of the ice cream truck in our neighborhood while helping his Daddy to take out the trash. Unfortunately, this wasn't the magical experience we had all hoped for! He heard that happy sound and took off running, He quickly tripped and fell in the gravel and ended up with a pretty gnarly scratch! 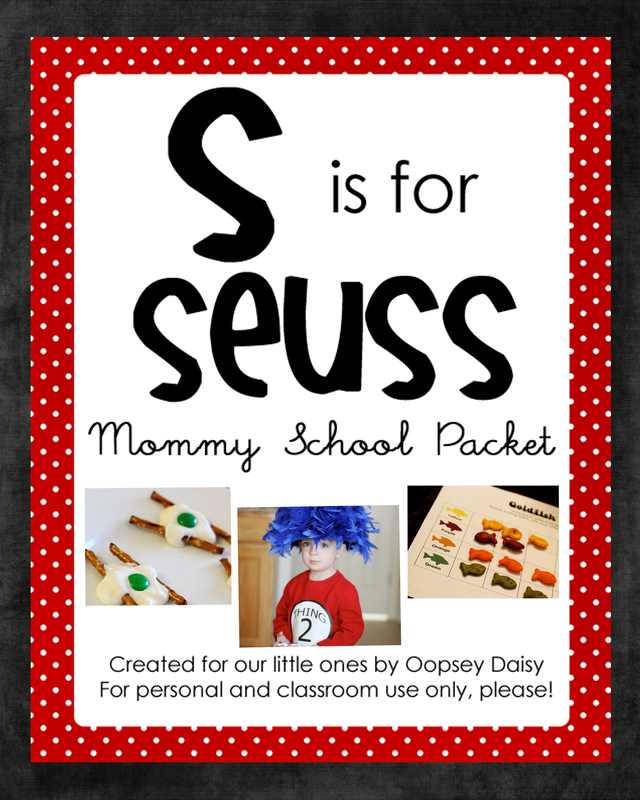 Oh, and you asked what we have been up….We had chicken pox in my house so I have incredible cabin fever! and weird looking, speckled kiddos! 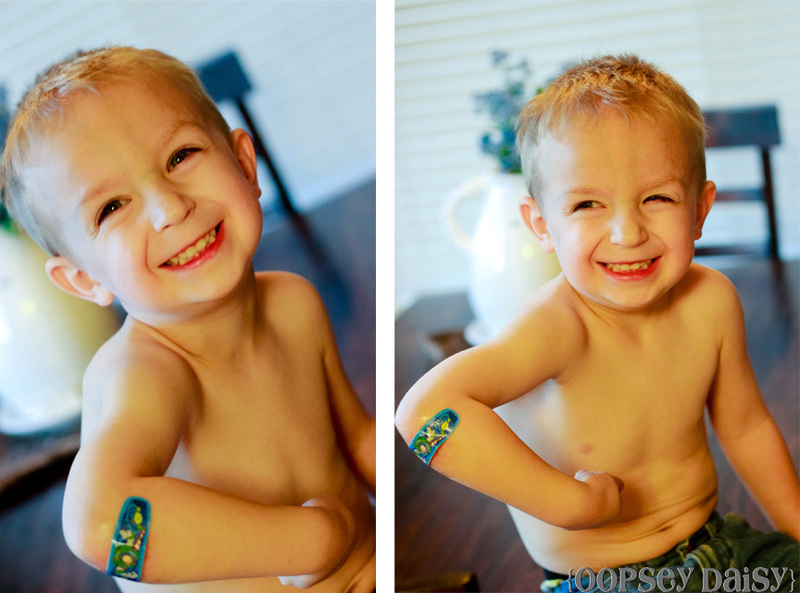 How cute – I love how the character band-aids help them feel better! I have all kinds too – Cars, still some Finding Nemo from a while back, and Princesses. My only daughter is now 13 and the five boys need way more band-aids than she ever did, so we have lots of Princess ones still. Sometimes I put those on the boys and they used to complan until I told them they were their girlfriends to kiss them and make it better…the things we make up as moms to make our kids feel better or be happy with what they have! Congrats on your new house too! A blank slate for new projects? He looks pretty happy with his band-aid:) Cute! LOVE the new makeover, my friend! Very clean and bright. Poor little guy!! I hope he heals up quickly. It looks like he’s okay with his war wound! Love the look….and we had the Ice Cream man too. 🙂 Congrats on the move! I have fond memories of the Ice Cream Man (we called him the Ding-Dong man – since there was no music to blare, only a giant bell)! I’d always get the pink ice cream that was shaped like a foot with a green gumball for the big toenail. How appetizing does that sound!?! Although the weather is fitting in St. Louis for ice cream our ice cream guy hasn’t made an appearance yet. We’ve been enjoying lots of playtime outside though! Congrats on the new makeover – looks great! I’m envious!